Note: If you have used our PayPal form before, please refresh the page before making payment. Buy an Annual Staff Party Shirt! Friend "Bil Krauss Bksp" and "Bil Krauss Bksp" and LIKE "Bil Krauss Show"
THE BIL KRAUSS MUSIC WEEKEND FINALE! FIND YOUR SEAT AT THE LAST FIRE! This year will be a celebration of our 20 year phenomenon and a farewell to something that has been an annual gathering of friends and musicians for so many and from so far away. We are very happy to say that THE REV TOR BAND from the Berkshires of Massachusetts will be making the trip for this one as well; they were there our first year and it will an true honor to have them join us for the last. 48 hours of great people, music, beer, bonfires and cozy cabins in the Catskills mountains. A very affordable and memorable getaway taking place to liven up the doldrums of November. Music, dancing, laughter, zip lines, hiking, beer and bonfires in the mountain air! Our event takes place in the Catskills of Upstate New York. Although only about two hours north of New York City, it's about as faraway from everything as you can get for those wanting to disconnect for a weekend. Welcome to a true party weekend get-away in the country! The music and laughter of the BK MUSIC WEEKEND is now its 20th year and takes place in the Catskills of Upstate New York. Although only about two hours north of New York City, it's about as faraway from everything as you can get for those wanting to disconnect for a weekend. Welcome to a true party weekend get-away in the country! Our host resort is Frost Valley, a 6,000 acre YMCA facility surrounded by 250,000 acres of the Catskill Mountain State forest preserve that has opened its doors to us especially during the off-season as an adult party event location. They offer a variety of lodging choices instead of only one, as our past weekend parties have had. The modern hotel accommodations in their brand new Lakeview Lodge facility are at the top of the range, costing a little more than we have been used to, and, in the more economical range, the rustic cabin accommodations they offer would cost party guests a great deal less than we have been used to. There are also "In-between" levels of accommodations that will make the costs for past guests essentially same as what we used to enjoy at Eastover some years ago. Singles, couples, and circles of friends everywhere are welcomed to this year's event featuring BK's show both nights, along with music, dancing & fun with the return of THE REV. TOR BAND, Doug Decker, Johnny Banks, Willy Wood, Mr Wade, and some terrific new band members joining us for their first time, Mark Denmon, Bobbi Lane, Elizabeth Krauss, many other musical party guests along with our DJ dance mix. Music, laughs, songs and smiles ahead, my friends! 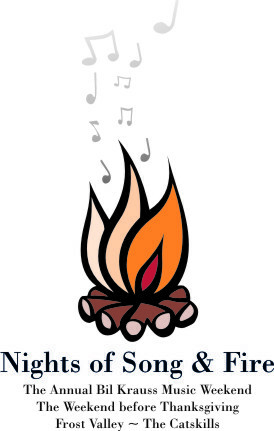 Our music weekend schedule includes Friday night's opening mixer with music, dancing, assorted mischief and our traditional late night bonfire, generally a low-key beginning for weary travelers. Saturday afternoon, the entire group can enjoy the impressive facilities and outdoor offerings here at the camp, with, of course, our trademark hayride in the afternoon. This is the Frost Valley staff's opportunity to show off all it has to offer. Zip Lines! Ropes courses! Mountain Boarding! Hay Rides! All are free to venture off to enjoy the outdoors if you like to hike, bike, fish or organize into team sports. And if relaxation and fresh air are all you're after, just stay put and take advantage of the resort's impressive facilities with plenty of fireplaces throughout. Immediately after the hayride, we have our BEER SUMMIT, where everyone wishing to partake brings a bottle or two of their favorite, interesting craft beer to share a taste with others. This event starts at the Lakeview Lodge lounge and extends into the hallway and on the porch. A great way to taste some neat stuff and share with our happy guests. Saturday Night we will make music throughout the night, featuring THE REV TOR BAND, announce prize winners including the coveted annual Leg Lamp and carry on with trademark BK nuttiness & craziness, with all of the many musicians in the mix. 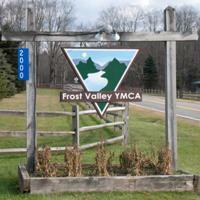 Click on Link --> HELPFUL TIPS ABOUT OUR PARTY AT FROST VALLEY! PAST BK PARTY GUESTS: Can't make it this year? ORDER A PARTY SHIRT & HELP CONTINUE YOUR SUPPORT OF OUR TRADITION OF FUN. These shirts are the final design and ARE NOT DATED. Annual Party T-shirts are $20 each plus $5.95 postage & handling. Buy at the party (save postage) or via Paypal on the left. Thank you!!!! Expected Attendance: 150+ from US & Canada. Dress: Casual holiday indoor & outdoor winter wear. Dress Warmly. Bring a flashlight. Winter weather? This party and resort have too much to offer indoors for weather to be a factor. We are already hoping for Catskill Mountain snow. 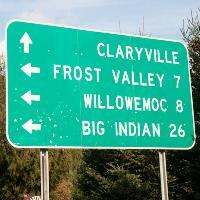 I have been told by Frost Valley that the snow clearance for the area roads is top-notch. Can't Find a Date or a Friend to Come Along? 50% of our party guests are typically singles. This is an extremely fun and welcoming group. Come with a welcoming spirit and you'll find the same. Promise. Children's rate: Food and lodgings are free for 5 and under. 6 and over are at adult rate. The basic cabin with bunk beds are a fun and economical way for a family to go! Take I-495 W to exit 31N for Cross Island Parkway to Whitestone Bridge. Take exit 33 (I-295 N/Throgs Neck Bridge) toward Throgs Neck Bridge/Bronx/New England. Continue to follow I-295 N and exit onto I-95 S. Follow for 5 miles and follow directions from the George Washington Bridge I-95 South (below). From NYC take the GWB �UPPER LEVEL- and follow signs to the Palisades Parkway�the exit off the bridge on to the Palisades Parkway is from the right lane (if you take the lower level you will need to travel through some local streets in Fort Lee so follow signs for the Palisades. Take exit 9W off the Palisades onto I-87 N (toward Albany). From I-87 north take exit 16 (Harriman) after toll follow signs for 17 West, go 55 miles west on Route 17 to Liberty (Exit 100A). At the end of the exit ramp turn right onto Route 55 east. Follow directions from Liberty (below). From the New York Thruway Exit 16 (Harriman) go 55 miles west on Route 17 to Liberty (Exit 100A). At the end of the exit ramp turn right onto Route 55 east. Follow directions from Liberty (below). Take Route 17 east to Exit 100 (Liberty). At end of exit ramp turn right onto Route 52 west. Drive 1/4 mile and take a sharp right onto Route 55 east. Follow directions from Liberty (below). Take 1-84 west to Route 17 (Middletown, NY). Go west on Route 17 to Liberty (Exit 100A). At the end of the exit ramp turn right onto Route 55 east. Follow directions from Liberty (below). 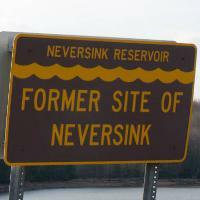 Take Route 55 east ten miles to Neversink (past Neversink reservoir). Look for sign on the right side of the road marked "Claryville" (currently marked CLAR_VILLE) Turn left here, onto County Road 19. Drive seven miles to Frost Valley's main campus. Call (845) 985-2291 if you get lost. There are two (2) costs: a PARTY FEE paid to BIL KRAUSS ENTERTAINMENT, Inc directly AND YOUR LODGINGS RESERVATION paid to FROST VALLEY YMCA (check, MC, VISA). The Party Fee is sent to BK separately or by PAYPAL via this website. NOTE - Party fee reduced for 2012!!! Send your $45* check to: BK Entertainment, Inc PO Box 3162 Pawleys Island SC 29585. Price includes a long-sleeve final party shirt, entertainment by BK & special guests; access to all (open) Frost Valley facilities: Friday night's party; hayride; bonfire; door prizes & much more! This party has a sizable invitation list and therefore administrative, insurance, promotional fees, printing and postage are big part of it. Thank you for supporting your event! FOOD FOR THE ENTIRE WEEKEND IS ALREADY PAID FOR VIA YOUR "PER PERSON FOR THE WEEKEND" LODGING RATE. *Our party is BYOB. Bring a supply of your favorite beverage,. There is no cash bar, so buy your "provisions" early and amply since we will be far from the nearest store. There are no sodas of any kind offered here other than healthy juices--it is afterall a YMCA Camp--so please take note! Frost Valley YMCA gives you the option of paying somewhat more for new, more modern lodgings or paying less and enjoying considerable savings, for instance, in their basic YMCA bunk bed cabins. Most guests only use these rooms for sleeping with all there is to do and this makes is a great and economical way to do, especially with a fun group. All the cabins are nice, well-maintained, safe and warm, but also are what cabins are...basic. Choose the cabin option and the annual weekend party will wind up costing very little. Go for the more modern location and it will be the same as a mainstream hotel with food included. Choose what works best for you and get ready for a memorable and fun time in the mountains. More than 2400 guests over the past 19 years know now how perfectly the magic of this event and this setting starts off the holiday season. Start making plans now and bring a friend or two. Some of you just won't know if you can come until the very last minute, we understand, but please RSVP as soon as you know either way to give us the most accurate, cost-effective guest count possible for party. We have a lot to supply! Thanks! Start Calling Frost Valley ~ Book Your Flights ~ Request Your Time Off ~ Mail your RSVP in now! --THIS IS A PARTY, A MINI-VACATION, A WEEKEND GETAWAY all rolled into one! Having a tremendous time here is a sure thing. THERE IS NOTHING LIKE OUR ANNUAL EVENT! "Bil Krauss Bksp" and "Bil Krauss" "@Bilkraussshow"